Trinbago Knight Riders celebrate their Hero Caribbean Premier League (CPL) victory over Jamaica Tallawahs at the Central Broward Regional Park in Fort Lauderdale, United States on Sunday, August 19, 2018. (PHOTO: CPL via Getty Images). 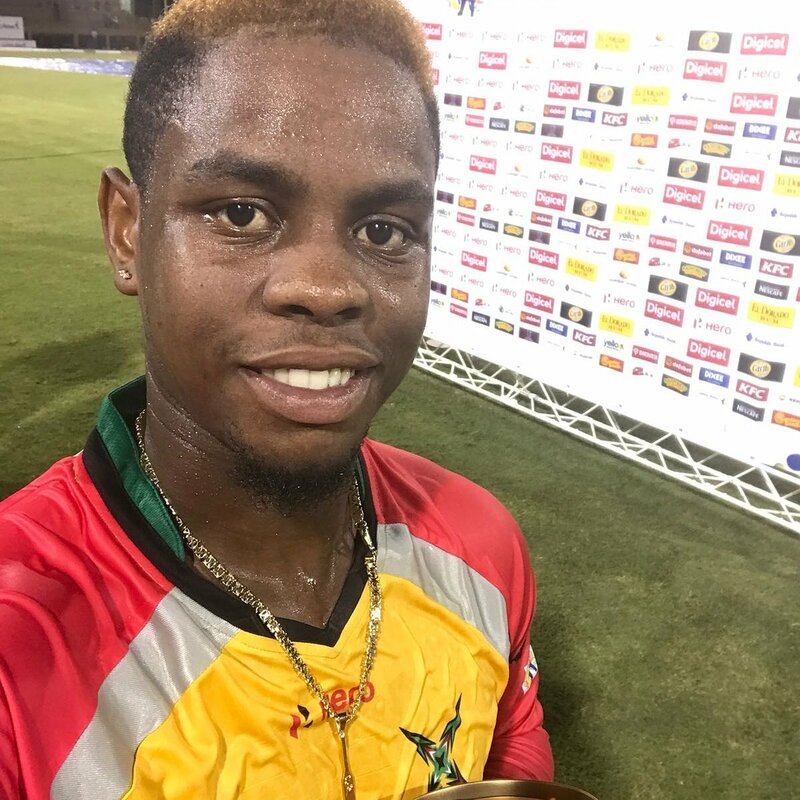 Javon Searles slapped the final ball for four as Trinbago Knight Riders produced their second successive Hero Caribbean Premier League (CPL) run-chase to gain revenge on Jamaica Tallawahs, with a four-wicket victory in Florida on Sunday night. Sent in to bat, Jamaica Tallawahs made 182 for five off their allotted 20 overs and Trinbago Knight Riders replied with 184 for six off their 20 overs. It was the fifth loss in six matches at the venue for the Tallawahs since 2016. 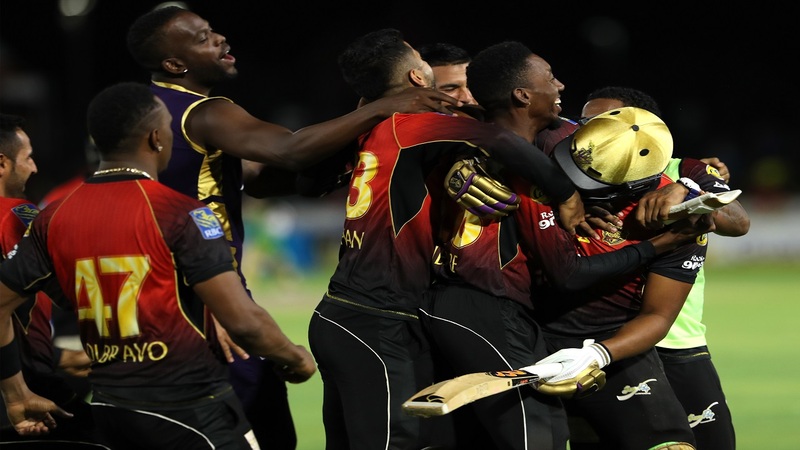 The Knight Riders now have three wins from their five matches, the same as Tallawahs, which have suffered back-to-back defeats in Florida after starting their campaign with three victories. Both teams are on six points along with Barbados Tridents, which are atop the six-team points' table courtesy of net run rate. Knight Riders are in second place with Tallawahs in third. Andre Russell’s one-man show had stunned the Knight Riders back in game three, but this time it was the Knight Riders captain Dwayne Bravo who was celebrating after his six-laden 11-ball 36 proved so crucial in snatching a victory that had looked so unlikely when Trinbago slumped to 28 for three at the end of the Power Play in pursuit of 183. The two sides in truth produced uncannily similar innings at Central Broward Regional Park, with run-scoring proving difficult in the first 10 overs before rapid acceleration after the midway point. 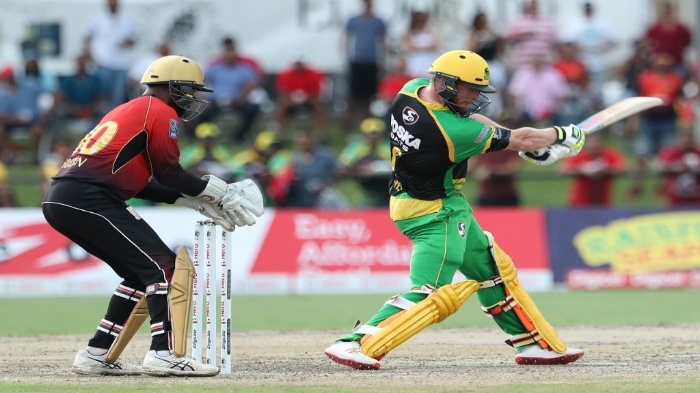 The Tallawahs turned 58 for three into a seemingly impenetrable 182 for five thanks to 80 from Glenn Phillips and 72 not out for David Miller; the Knight Riders surpassed it as a midway 62 for three became a match winning 184 for six. Darren Bravo, the hero of the victory over St Lucia Stars on Thursday, was to the fore again, striking five more sixes in a 35-ball 50 as he shared a century stand with Colin Munro, who filled the Phillips role with an expertly-paced 67 from 51 before being bowled round his legs by Russell. Glenn Phillips of the Jamaica Tallawahs bats during the CPL match against Trinbago Knight Riders. (PHOTO: CPL via Getty Images). Skipper Dwayne Bravo provided the crucial shot of impetus the Knight Riders needed with three successive sixes off Krishmar Santokie in the 18th over and five in all in a blistering 11-ball stay at the crease. Having needed 12 an over from the eighth over onwards, the Knight Riders somehow needed just seven from the final over. But there was still a twist to come in this extraordinary game. Dwayne Bravo was caught on the boundary looking for the match-winning six to leave Javon Searles to find five runs from the last two balls. A scampered two to long-off and a slap through cover off the back foot to the boundary did the job to spark scenes of jubilation. But the 106 added by Darren Bravo and Munro should not be forgotten among all that late drama. For much of the game, Darren Bravo looked like he might be the Knight Riders’ fall guy after a costly dropped catch. 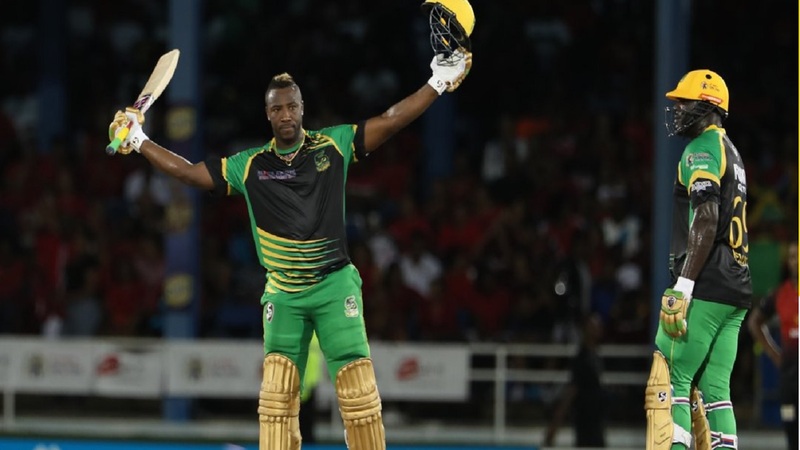 Phillips had made only 44 from 41 balls when Bravo spilled a simple chance at a time when the Tallawahs were still looking to recover from their own slow start. Left-arm spinner Khary Pierre came into the side with stunning and instant impact. He trapped Kennar Lewis lbw for just a single and also dismissed Steven Taylor cheaply as his four overs bowled off the reel at the top of the innings brought him two for 19. With Ross Taylor also failing to reach double figures before falling to Fawad Ahmed, the Tallawahs were in significant early trouble. Phillips and Miller were watchful, to the extent that the run-rate only climbed back above six in the 12th over. The key moment of the innings arrived at the start of the 15th over. 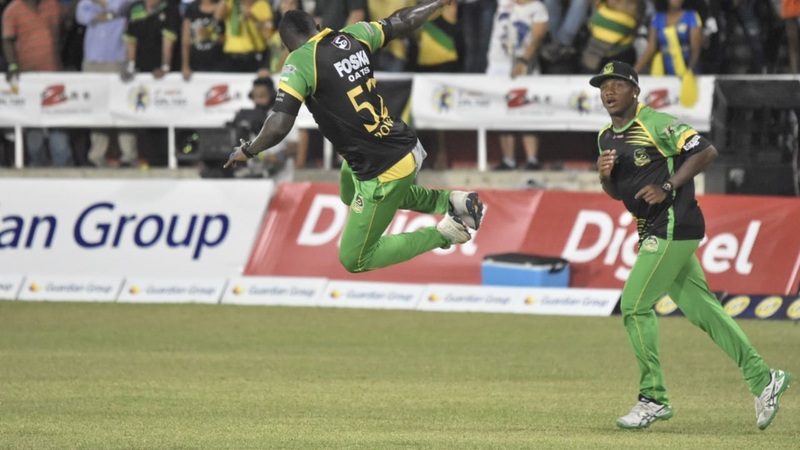 The Tallawahs were still on a flimsy-looking 91 for three with overs starting to run out when Phillips attempted a switch hit off Ahmed and sliced a simple catch to Darren Bravo in the deep. Inexplicably, the chance went begging. When Phillips did fall four overs later he had 80 runs to his name from 55 balls and the score had moved on to 159 for four. Phillips’ ferocious hitting after his let-off included another switch hit for six and a pair of outrageous ramp shots over wicket-keeper Denesh Ramdin. He struck five sixes in all. Miller was more fluent from the off, with his half-century coming up in just 25 balls with a nonchalant flick off his pads over square-leg for six. He was there at the end to dispatch the last two balls of the innings for a four and his fifth six of the day, way back over long-on, to finish on an unbeaten 72 from 34 balls. In all, 80 came from the last five overs of the innings – and that was with Russell contributing only a couple of runs from a three-ball stay at the crease. Momentum was firmly with the Tallawahs, and the Knight Riders needed a good start to their innings. They didn’t get it. Pinch-hitter Sunil Narine fell without scoring, caught by Russell at mid-on off left-arm spinner Imad Wasim, before Chris Lyn was ran out to leave the run-chase in early disarray at 10 for two. The Power Play ended with Brendon McCullum carving Oshane Thomas to Steven Taylor at point. He made only eight, and the Knight Riders had limped to 28 for three in those first six overs. They were leaving themselves even more work to do in the remainder of the innings than the Tallawahs had earlier in the day, with the required rate reaching two a ball as early as the ninth over. Darren Bravo and Munro recovered the situation, though, before Dwayne Bravo and right at the very end Searles added the finishing touches to complete a thrilling victory. SUMMARIZED SCORED: Trinbago Knight Riders 184/6 (Munro 67, DM Bravo 50, DJ Bravo 36, Imad Wasim 2/17) beat Jamaica Tallawahs 182/5 (Phillips 80, Miller 72*, Pierre 2/19) by four wickets with 0 balls remaining.